We preferred to express GDP in nominal value to avoid the impact of uncertain parameters included in the methods of purchasing power parity. Ukraine has just kept the aging industry built during the Soviet era as well as mining and agriculture " but was unable to built anything new" in particular because of " rampant corruption " which for many leaders all parties is the fastest way to make money in a poor country in impoverishing it. Corruption is also linked to the acquisition of power in addition to wealth and concerns also developed countries. The extreme poverty of Ukraine does not make of it a market for Europe but provider of cheap labor that would increase European unemployment. The European Union, whose many Member States are in crisis, does not have the financial capacity to integrate a so poor country. Ukraine would also be a terrible financial burden for the Russian Federation in a case of integration. The Kievan Rus' was for many centuries a vast field of battle between the Mongol Tatars to Lithuanians and Poles. In the sixteenth century the Kievan Rus' (part of which is later called the Ukraine) was incorporated into the Republic of Both Nations (Kingdom of Poland and Grand Duchy of Lithuania). Cossacks opposed to the Poles and defeated them in 1648 with the help of Russians and Tatars, they established an independent state in the Dnieper area they called "Ukraine" (part of today's Ukraine) whose left Bank was integrated to Russia in 1654. This region was fully integrated to Russia following the victory of Tsar Peter I over the Cossacks in 1708. Poland weakening, Frederick II of Prussia, Catherine II of Russia and Maria Theresa of Austria decided to gradually absorb Poland. Poland disappeared after three partitions: 1772, 1793 and 1795. In 1772 Galicia, part of the western Ukraine became Austrian and in 1793 Catherine of Russia took the rest of Ukraine to the Black Sea i.e. three quarters of the current Ukraine. Furthermore it should be noted that it is only in 1954 that Nikita Khrushchev decided to separate Crimea from Russia and integrated it to Ukraine. This gift made without consulting the majority ethnically Russian population would have been due to his links with the Ukrainian PC and / or would have been compensated Ukraine for its mistreatment by Stalin. In 1917, Ukraine took advantage of the disorganization of Russia to declare its independence and joined Germany to fight the Red Army. In 1918 the allies helped the white troops against the red army. The French invaded Sevastopol and other coastal cities to help these whites nostalgic of Tsarist totalitarianism, but they were thrown back to the sea by the local population and the Red Army. In 1941, Ukraine was invaded by the Nazis who were welcome as liberators in the West while in the East they had to face a strong resistance from the population. German massacred populations and destroy many cities in the East of Ukraine and thus have determined an indelible line between "two Ukraines" that still do not share the same values. 220 000 Ukrainians volunteered to join mainly the Waffen-SS that the Germans had organized for them and other Nazi organizations. Ukrainian volunteers were sometimes more ferocious than the German in particular in the death camps. There is therefore a long lasting border between Western Ukraine attracted by Europe as the birthplace of Nazi Germany and whose SVOBODA Party which now occupies the center stage boasts values ​​and Eastern and Southern Ukraine which are antifascist and Russophile. SVOBODA has provided the shock troops during the events of the Maidan square and claims to be the only real architect of the victory over the government of Viktor Yanukovych . 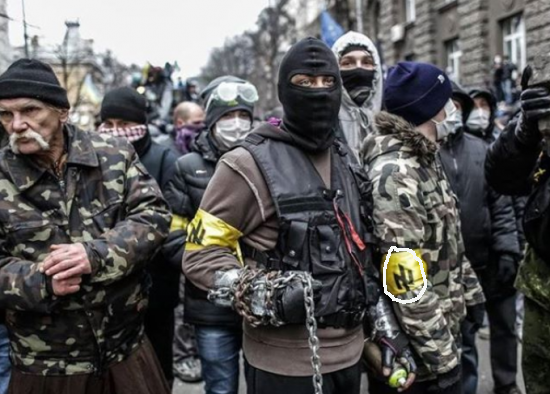 WHAT NAZI SYMBOL DID SVOBODA CHOOSE? It is a runic symbol also called rune of the wolf. This SS division participated to the battles of Kursk, Kharkov, in the rest of Ukraine and France where it is known for the massacre of civilians in Tulle Combeauvert and Oradour sur Glane . It is unacceptable that representatives of the French government intervene in favor of a foreign government, including several ministers honoring the symbol of the division "Das Reich." This behavior is also unacceptable for the representatives of the European Union but it has already shown its tolerance for neo-Nazis parading freely and in the Baltic countries and Hungary. The French government should better correct its mismanagement of France, which paves the way for the victory of the far right National Front. The extermination of Jews during the Second World War was carried out at 80 % by bullets by the Einsatzgruppen and their local accomplices and the rest by deportation to the death camps. From about 2.1 million Jews of Ukraine before the war two thirds were killed by the Germans and their local accomplices i.e. approximately 1.4 million people: 500,000 in 1941, 700,000 in 1942 and 200,000 in 1943 and 1944. Since 1990 about 300,000 Jews immigrated to Israel and are today only 200,000 throughout Ukraine. Religious pilgrimages are held annually to honor the memory of rabbis who lived in Ukraine but SVOBODA wish to forbid these pilgrimages. The Jews were already subject of anti-Semitic acts from SVOBODA but 2014 is the year of the soaring of this Party which increases the insecurity of the Jewish community in Ukraine. Israel has decided to act in February 2014 in financing a program of repatriation of Jews from Ukraine to Israel which covers about 2,000 Jews per year and is similar to the target determined for France. Igor Tenioukh, former defense minister was sacked on March 24 because he did not lead Ukraine into war against the Russia about the Crimea. On March 27, the presidential candidate Yulia Tymoshenko promised war against Russia to his electorate in order to reconquer Crimea; she could put her country in a fatal catastrophe without any respect of the wish of the population of Crimea. We thus see two Ukraines which have different ethics, different values, different cultures, different recent histories, different languages, different economies and different populations. Ukraine is a designation of a place where peoples and borders have often moved and these peoples wish different fates. 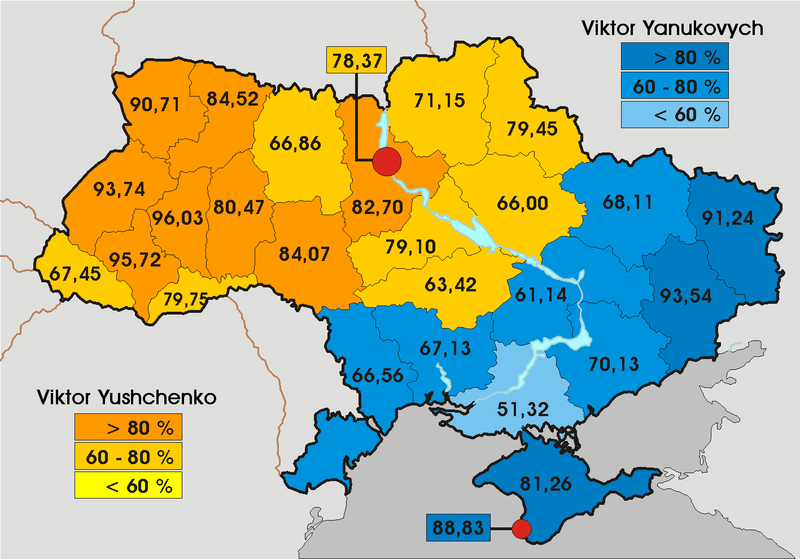 A minimal split gathering the sole oblasts where the mother tongue of the majority of the population is Russian would include Donetsk Oblast of 4,387,000 inhabitants and Luhansk Oblast of 2,264,000 inhabitants i.e. a total of 6,651,000 inhabitants who would represent only 15.4 % of the population of Ukraine. However the strength of the relationship with Russia may not be restricted to mother tongue especially that most of the Ukrainian speak Russian, but includes also economic and cultural considerations. Some Oblasts are structurally linked economically to Russia. The considerations on eastern and southern Ukraine are also linked to contemporary history and political views away from those of the Western Ukraine. For example, the brutal dismantling of statues of Lenin in the West was seen as an affront and a violation of the historical heritage in the East. The population of these oblasts amounts to 19.126 million or 44 % of the Ukrainian population. A split of Ukraine on such basis could be more harmonious and more in line with the capacity of help of the European Union and the Russian Federation, but polls can only determine the reality of a split. The above indications point out the reality of the problem but of course the reality should be determined by the vote of each Oblast in favor of Western or Eastern Ukraine. The wish to be linked to Russia or to Europe may be determined thereafter avoiding thus any risk of civil war or military war to which the Western countries seem to push Ukraine. Czechoslovak Case:Although the case is different it is surprising that no international uproar has followed the separation of Czech Republic and Slovakia. Slovaks wishing decentralization could not agree with the desire for centralization of Prague and in 1992 the Slovak parliament made ​​a declaration of independence that the Federal Assembly formalized. VIII- WHAT IS THE POLICY OF WESTERN COUNTRIES? Although the USSR has disappeared and that communism is no longer a political issue, the Western world continues its offensive against Russia to impose everywhere the predomination of NATO as a support tool of the implementation of a unique ideology on the planet. The wish of Russia to follow a different way has converted the former anticommunism into a Russophobe attitude. This unfair behavior started with the pathetic refusal of the western world to acknowledge a debt of gratitude towards Russia for its indisputable victory over Nazi Germany and its numerous European allied countries. Such an attitude is not possible towards China because of the size of the market which it represents and its global economic power and military dissuasion. The 70 % rightist European Union does not act as a moderating power and the strength of its member states is gradually transfered to a privatized and globalized economy. Even the socialist and formerly Gaullist France joined the chorus of Western nations orchestrated by the United States. If Poland is involved in Ukraine issue is it because Ukraine was part of its territory in the eighteenth century? Is there a Polish minority in Ukraine? Poland had controlled over its borders territories mainly inhabited by Ukrainians and Belarusians; there is no real Polish minority in Ukraine; Polish population represents 0.3% of Ukrainian population i.e.135 000 persons according to CIA. Poland is only driven by Russophobe feeling who does make of it an acceptable diplomatic power. Polish government should focus on the insufficient development of its economy which is a main concern for the daily life of polish people. Why Germany feels so concerned by the Ukrainian issue? Is it in the name of Frederick II of Prussia or Maria Theresa of Austria, who participated to the dismantlement of Poland and Ukraine or because Ukraine was allied to Germany in 1918 and then to Nazi Germany in 1941 whose values are brought by SVOBODA? 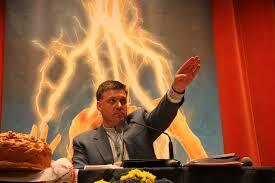 We do not think so, but Germany has a moral duty to condemn the Nazi influence soaring in Kiev today. Why France wants to play a part in Ukraine? Is it because it invaded Sebastopol in 1918 in order to help the white autocrats and were thrown away by the local population and the Red Army? We do not think so, but the French diplomacy has lost its specificity, soul and has adopted the views of the European Union and USA. 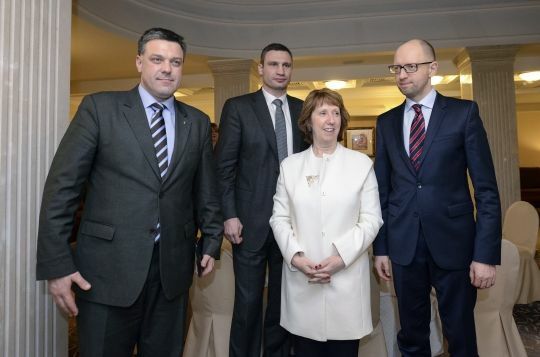 The president and the parliamentary majority in France were elected on the basis of a "quickly forgotten" socialist program by lack of expertise and should have at least prompted the government to condemn the role of SVOBODA in Kiev instead of implementing in France a catastrophic policy that promotes the current soaring of the far rightist "Front National". For the U.S. the explanation is simpler. US want to be predominant everywhere directly or through allies to ensure their own safety and economy and do not hesitate to spy the whole planet including their own allies. They invade states by acknowledged mistake and want to impose diplomatic successes for domestic purposes particularly in the Middle East at the expense of the parties involved, Arab countries rejecting the nature of Israel and even propose to free an Israeli agent against the liberation of Islamic terrorists paradoxically to their fight against terrorism. 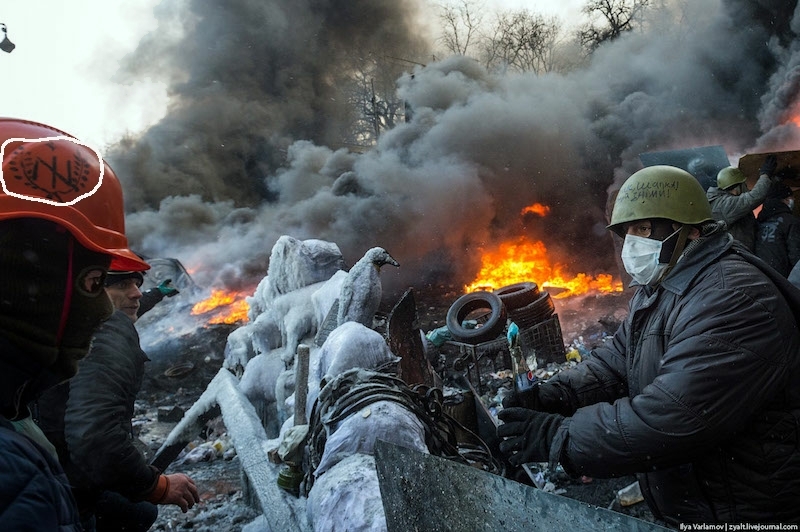 The Western world may push Ukraine to a civil war or to a military conflict with Russia and might have encouraged Yulia Timoshenko to include on 27 March a recourse to war in her electoral program. 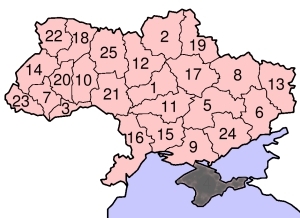 In order to respect the rights of each citizen and to avoid a civil war or a military conflict, the current leaders must be neutralized by a democratic way passing through the self-determination of the regions (Oblasts) which will probably devote the existence of two longstanding Ukraines. Oblasts have their own specificity and history and in a country that is not really a nation are the real wheels of democracy.